“A sunny, smart, tongue-in-cheek tale.” —The New York Times Book Review “Sweet and affirming.” —Kirkus Reviews Huffington Post Honor Book for Best in Kindness Bank Street Best Book of 2015 NCTE (National Council of Teachers of English) Charlotte Huck Honor Book CCBC (Cooperative Children’s Book Center) Choice Book Sold in twelve countries! 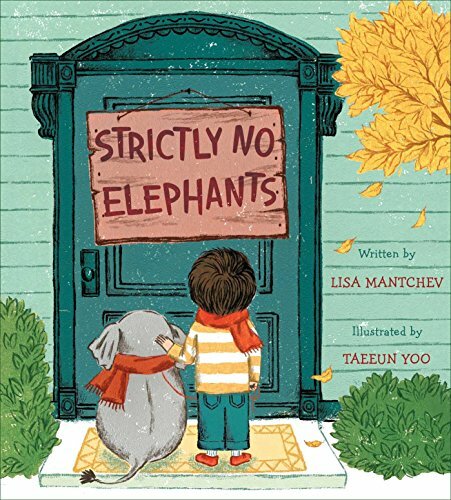 When the local Pet Club won’t admit a boy’s tiny pet elephant, he finds a solution—one that involves all kinds of unusual animals in this sweet and adorable picture book.Today is Pet Club day. There will be cats and dogs and fish, but strictly no elephants are allowed. The Pet Club doesn’t understand that pets come in all shapes and sizes, just like friends. Now it is time for a boy and his tiny pet elephant to show them what it means to be a true friend. Imaginative and lyrical, this sweet story captures the magic of friendship and the joy of having a pet.